This spirit of inclusivity contrasts sharply with the early days of Connecticut’s capital. Small numbers of Jews began to settle in Hartford in the early 1800s, and soon local newspaper ads began to tout shops in a section of the commercial district called “Jew Street.” The first group of some 200 immigrants, mostly from Germany and Austria, lived in downtown areas near the Connecticut River docks, working as meat cutters, jewelers, tailors, traders and teachers. Jews could hold public office at the time, but were not permitted to establish a formal congregation. They worshipped in private homes until they petitioned for a change in the law in 1843, paving the way for Congregation Beth Israel. Newcomers swelled their ranks and by 1856 congregants had purchased their first building, using funds donated by philanthropist Judah Touro. In 1876, a new building on Charter Oak Avenue became the first structure in Connecticut built specifically as a synagogue. In 1887, Eastern European Jews—mostly from Romania—formed an Orthodox synagogue, Agudas Achim. At the time, Jews numbered just 1,500 of the city’s population of 50,000. That number grew to 6,500 by 1910 and 20,000 ten years later, as Jews escaping from Russia and Eastern Europe were welcomed to the city. The Jewish community expanded with new synagogues, mutual aid societies, cultural and Zionist groups, eventually boasting more than 40 social and civic organizations. In 1923, the opening of Mt. Sinai Hospital allowed Jewish doctors to practice after being denied posts at the local Protestant and Catholic hospitals. The Jewish exodus to the suburbs from the North End neighborhood of Hartford, where most local Jews lived in the early part of the 20th century, started in the 1930s but grew in the 1950s and ’60s. Along with the families came the synagogues, the Hebrew Home, the Jewish Federation, the Jewish Community Foundation and other Jewish institutions, all settling mostly in West Hartford. Although the city of Hartford once boasted more than a dozen synagogues, none remain. Today, few Jews live within the city bounds, once one of the richest cities in the country and now one of the poorest. As manufacturing companies fled after World War II, most Jewish families started to move to the suburbs. Mt. Sinai Hospital, the last Jewish institution in the city, merged in 1995 with St. Francis Hospital and Medical Center. 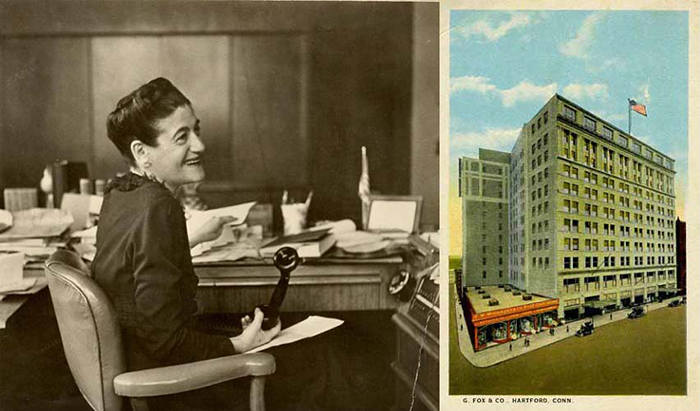 One of the most famous women in Connecticut history is Beatrice Fox Auerbach, who ran Hartford’s premier department store, G. Fox and Company, from 1938 to 1965. Her grandfather, Gerson Fox, established his dry goods store in 1847, and his son Moses took over in 1880, building it into the largest family-owned retail store in the country. His daughter Beatrice married George Auerbach and moved to Salt Lake City, but in 1917 a devastating fire destroyed the Fox store and the Auerbachs returned to Hartford to help rebuild. George died ten years later, and Beatrice started assisting her father. When Moses died in 1938, Beatrice became president. In addition to emphasizing quality customer service, she initiated innovative labor reforms, such as a five-day week, medical and nonprofit lunch facilities and interest-free loans. G. Fox was one of the first major stores to hire African-Americans for jobs with opportunities for advancement. Beatrice refused to attend meetings at the Hartford Club because it was not open to Jews, and when asked to contribute to Hartford Hospital, she said she would “when you have at least two Jewish interns.” In its heyday, G. Fox & Co. had 3,000 to 4,000 employees and 147 trucks delivering more than two million packages a year. Beatrice also was active in local organizations and philanthropies, setting up a foundation to support educational and civic activities and founding the Service Bureau for Women’s Organizations, a clearinghouse for charitable and civic causes. In 1965, Beatrice sold her stock for $40 million to the May Department Stores Company. But downtown was losing its allure, and traffic was moving to suburban malls. In 1993, G. Fox & Co. closed its doors after 145 years. Beatrice Fox Auerbach died in 1968, but the sixth generation of her family is still involved in the local community. 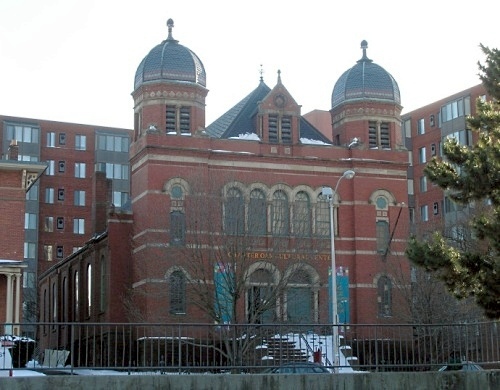 Founded in 1843, Congregation Beth Israel’s original building was built in 1876 in Hartford by architect George Keller in the Romanesque Revival style. The building was restored in the 1990s and is on the National Register of Historic Places. Today the building serves as the Charter Oak Cultural Center, a multicultural arts center under the leadership of Rabbi Donna Berman. Discover Hartford’s Jewish roots and travel back to the “old Jewish neighborhoods” of Hartford’s past, sponsored by the Jewish Historical Society of Greater Hartford. Programs and lectures are offered through the Greenberg Center in addition to scheduled docent-led tours of the Museum of Jewish Civilization inside the Mortensen Library. The Chase Family Gallery presents six to eight major exhibits each year of local, national and international artists. A number of Jewish artists can be found amongst the art collections at the Wadsworth Atheneum Museum of Art, including works by Hartford native Sol LeWitt, Helen Frankenthaler, Marc Chagall, Max Ernst, Cindy Sherman and Elie Nadelman. 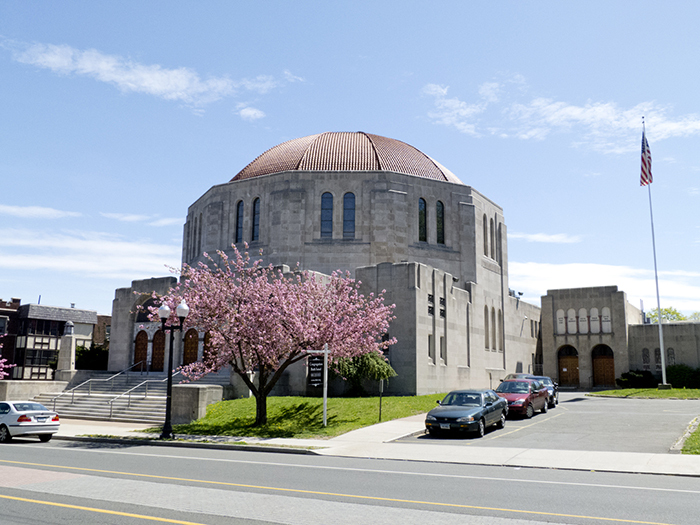 Now one of the largest Reform congregations in New England, Congregation Beth Israel’s current building in West Hartford was designed by architect Charles R. Greco in the Byzantine style in 1936 and is on the U.S. National Register of Historic Places. 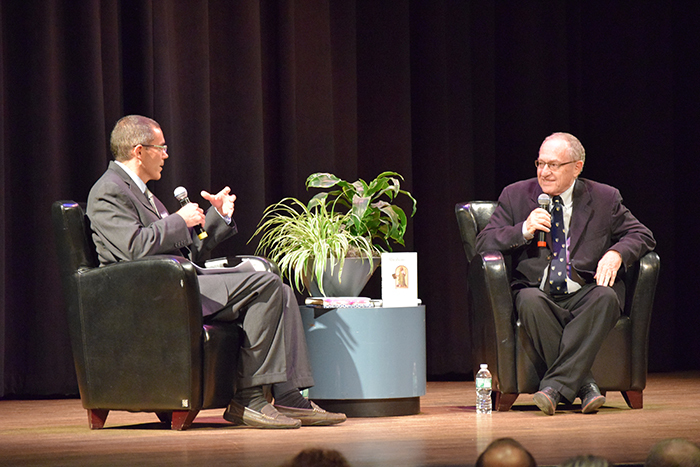 The Mandell JCC offers a variety of events featuring Jewish authors throughout the year. 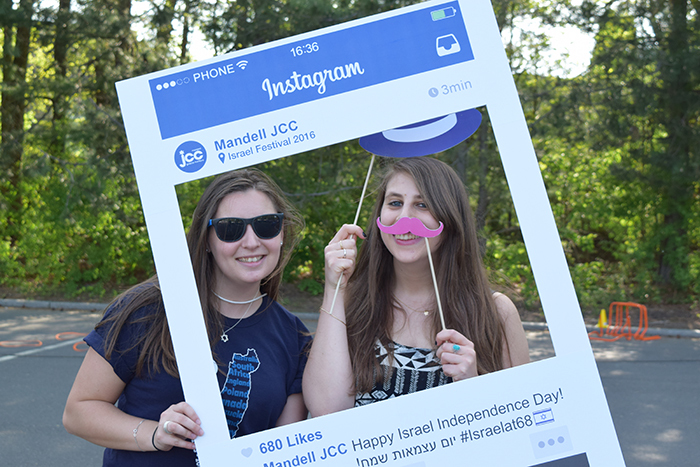 The annual community-wide Israel Festival commemorates Yom Hazikaron (Israel’s National Day of Remembrance) and celebrates Yom Ha’atzmaut (Israel’s Independence Day). A variety of events for all ages is offered during this week-long celebration. The 21st Annual Hartford Jewish Film Festival, sponsored by the Mandell JCC, brings together 5,000 people for ten days of movies and events featuring the best in international Jewish films. Wonderful article about my home town. I’m 84 years old and am familiar with most of the institutions named. My oldest sister worked Saturdays as a “contingent” at G. Fox & Company during her high school days. My mother waited patiently for that store’s one-day bargain day sale. High school boys who didn’t know what to do with their lives became shoe salesmen at “Fox’s.) Our family belonged to the Agudas Achim synagogue I’ll get back to the “old neighborhood” yet!